Finding the right products for high porosity hair can be difficult, even for curlies who have fully transitioned. Sometimes, we’re caught off-guard, like when a tried-and-true favorite has had a change of its formula. Other times, we’re swayed by enticing label claims, or the endorsement of an influencer with the same curl pattern, but a completely different porosity type. While switching up your routine as needed can really benefit your hair, wasting money on the wrong products is something we all prefer to avoid. 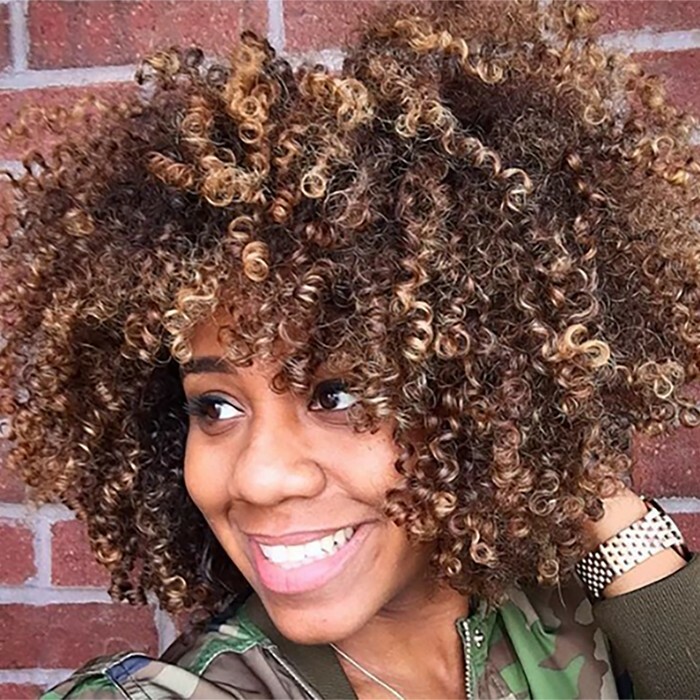 Follow this how-to to shop for products that your curls will love. Before you browse, determine what your hair needs. Learning to “read” your hair, in addition to helping you optimize its health, will also save you a lot of time, money, and product. Specifically, pay attention to its protein/moisture balance. High porosity hair loses moisture quickly and tends to be dry, so it requires daily replenishment. However, it needs protein, too, to help strengthen individual strands and reinforce their curl pattern. Some high porosity curlies prefer to add regular protein or intensive moisturizing treatments to their regimen, others do well with products that contain a balance of moisture and protein. Stylers are part of this equation, too, as they contain many of the same ingredients that are found in conditioners. Shop from reliable retailers who specialize in hair and beauty, particularly when buying online. In doing so, you avoid the risk of getting expired, used, or even “fake” products. Our shop is an excellent resource because it lets you sort products by brand, product type, and texture type. Here, it’s easy to find editor’s choice products and curly hair community favorites. Click the Sale tab for the best deals online or IRL. Ignore label claims and read the product ingredients. While not all ingredients work for every high porosity curly, there are some that tend to be safe bets such as those that are used in gentle, skin-soothing preparations (for example, aloe, chamomile, lemon balm, and apple cider vinegar). Determine what your hair does and does not like in various weather scenarios, and then avoid those ingredients. It took me two years, for example, to discover that my high porosity hair hates glycerin. It hates it in very dry and humid conditions which I would expect, but also in moderate weather when it should work well. Since I have figured this out, I buy products that do not contain glycerin, or contain very little amounts, and I am consistently much happier with the products I buy. Consider your hair’s density when deciding on new products to try. If you have low-density hair, you may want to opt for lighter, water-based stylers and conditioners that do not contain heavy oils and butters. Conversely, if you have high-density hair, your hair may respond to heavier products with more moisturizing properties than their lighter counterparts. Pick products that will complement your existing regimen. For example, if you have a moisturizing leave-in that you love, pick a styler that will provide hold vs. moisture. Don’t be afraid to try products from different lines. The best regimen is the one that works for you. If you love a brand’s shampoo, but their conditioner doesn’t provide enough moisture for your parched curls, swap it out for something more suitable. Your routine can be as unique as every curl on your head. Track down trial sizes when you can. If you love the sample, you can always buy the larger size later. If you hate it, you can give it away or keep it for guests without having parted with too much of your hard-earned money. Read product reviews and don’t be afraid to ask questions. As we know, not every hair product works well for every curly. However, if a product has numerous negative ratings due to problems that are not specific to curl pattern and hair porosity, then you might want to steer clear of it and choose something else. What are your favorite tips for shopping for products for high porosity hair? Let us know in the comments. For 15 Products for high porosity Hair click here.